Scott Kitei is a partner in the firm’s Bankruptcy, Reorganization and Creditor Rights Practice Group. 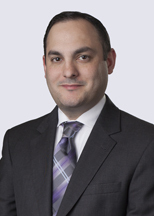 He focuses his practice on domestic, international, and municipal bankruptcy and insolvency-related matters and commercial transactions related to complex supply chain disputes. Scott has represented debtors, secured creditors, and unsecured creditors in both in-court and out-of-court restructurings. He also represents clients in commercial transactions under Articles 2 and 9 of the Uniform Commercial Code, including the development and negotiation of supply agreements and related contracts. Represented General Growth Properties (GGPLP L.L.C. ), a retail REIT in the largest Chapter 11 case undertaken by a real estate investment trust in U.S. history; Turnaround Management Association awarded Scott's bankruptcy team the 2011 "Transaction of the Year – Mega Company" recognition for its role in restructuring General Growth Properties, Inc.